You might not have used the periodic table, but the chances are you'll have seen it. It's known all over the world and when it was created it was a massive step forward for helping scientists to understand the world around us. 2019 marks 150 years since it was invented. What is it and why is it so important? Chemistry teacher Kristy explains what the periodic table is. Elements are the building blocks for everything in the world. Depending on the temperature they can be a solid, liquid or gas. 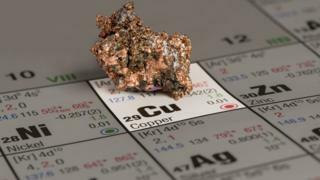 Most occur naturally such as oxygen, gold, copper, carbon and helium. The periodic table is a way of arranging all of these chemical elements and putting similar ones together. Each square on the table includes a number and letters. The letters are the chemical name for the element, for example Oxygen is O but gold is actually Au. The number is an atomic number. Atoms are the smallest particle of a chemical element that can exist. 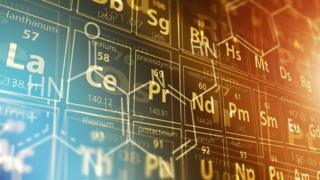 There are currently 118 known elements but only 94 of these are thought to naturally exist on Earth. It is called the periodic table because of the way the elements are arranged. You'll notice they're in rows and columns. The horizontal rows (which go from left to right) are called 'periods' and the vertical columns (going from up to down) are called 'groups'. Scientists discover 60 new planets - and maybe even more! Who made the periodic table? 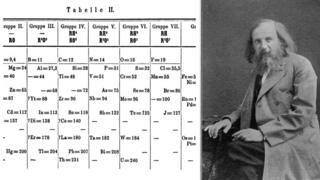 In 1869 a Russian scientist called Dmitri Mendeleev invented the periodic system that we still use today. Before him others had tried to 'order' the elements but their tables were incomplete or grouped elements together which weren't similar. Dmitri's table didn't include all of the elements because not all of them were known at the time. He left gaps for them though and could predict their properties based on the elements around them in his table. Everything - including humans! - are made up of elements so it's really important to understand them. When Dmitri's table was first created it helped scientists to do that, and it still does today. The periodic table also means scientists can predict the properties of matter on Earth - and in the rest of the Universe. 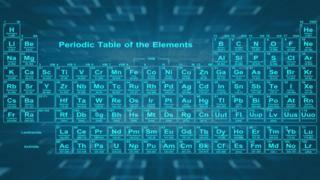 It's been described as "one of the most significant achievements in science" by the United Nations which has decided that 2019 is the international year of the periodic table of chemical elements! I'm the first comment for the second time today but I'm still struggling to understand the periodic table! I find scientists so cool, I don't understand how people can discover things like this!